It had been reported that changes in how the State charges insurers for public beds could send premiums even higher. THE GOVERNMENT has denied that health insurance policies could rise by up to 15 per cent as a result of its planned changes to the private system. It was reported this morning that the cost of an average health premium could surge as a result of plans to charge private insurers for some of the beds they use in a public facility. Currently a certain number of beds in some public hospitals are ringfenced for private patients, whose insurers are charged to occupy them. However, if a private patient needs a bed and there is no capacity within the designated private areas, they are given a bed elsewhere in the hospital – and their insurer is not charged. The changes are due to take effect on July 1 – and the issue was raised in the Dáil this morning, where Tánaiste Eamon Gilmore denied the suggestions that policies could surge by up to 15 per cent. Gilmore said the health insurance industry was worth €2.2 billion, while insurers would only be expected to pay a total of €60 million if they were covering the new costs. Even if this was passed directly to policy holders, premiums would only have to rise by less than 3 per cent, the Tánaiste suggested. Fianna Fáil leader Micheál Martin said an increase of 15 per cent in premiums would be the death knell to the industry – which was already losing 6,000 customers per month. The equalisation scheme meant that younger customers were effectively compensating for the costs of insuring older ones – meaning that a rise could be catastrophic for the system, if hard-up younger customers could no longer afford a policy. Email “Changes to health insurance system won't mean 15pc hike - government”. 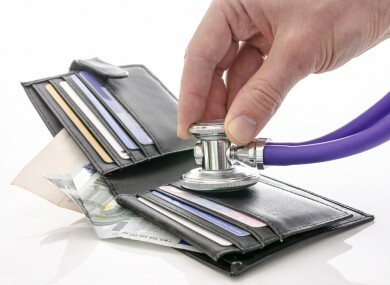 Feedback on “Changes to health insurance system won't mean 15pc hike - government”.